The Pyongyang metro stations are grand, with each one having its own artistic motif. These subway cars are soviet built, and seem to run well - even though they're seriously old. The Pyongyang metro stations are grand, with each one having its own artistic motif. 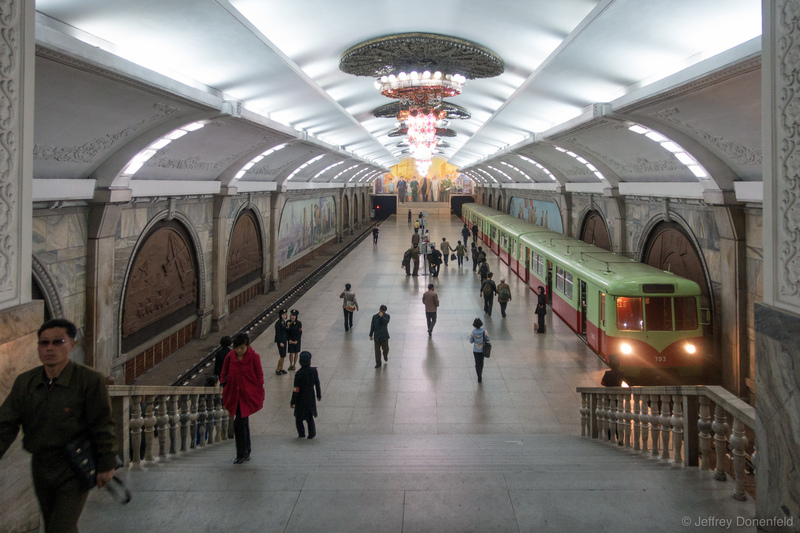 These subway cars are soviet built, and seem to run well – even though they’re seriously old.